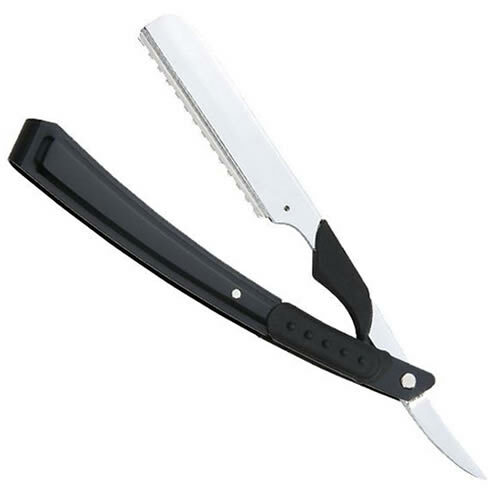 The AMA E3 Shaper Razor is a folding style shaper that's perfect for barbering, reducing weight in thicker heads of hair. The blade folds safely inside the aluminium handle. Available in stylish silver/black design. Takes Feather Styling Blades.